A certified medically-sourced educational program for referring physicians, including family physicians and midlevel providers, Ob/Gyns, registered nurses, radiologists, and radiologic technologists. The two greatest risks for developing breast cancer are being female and getting older. But type of breast tissue should also be considered when personalizing a plan for the patient’s breast cancer screening exam. Not only has breast density long been known to mask breast cancer on mammography, but breast density is an independent risk factor for the development of breast cancer. Increasing awareness about the importance of breast density necessitates new conversations between patients and their healthcare providers. Helping prompt these discussions are state laws requiring patients be provided some level of breast density information after undergoing mammography. To date, more than half of the states in the United States have passed legislation requiring at the least general notification about breast density, with some requiring that patients are informed about their breast tissue type. This comprehensive educational program will inform referrers, including physicians, nurses, midlevel providers, radiologists, and radiologic technologists, on educating patients about the implications of dense tissue, including considerations for additional screening for patients who have heterogeneously dense or extremely dense breasts. This activity has been planned and implemented in accordance with the accreditation requirements and policies of the Accreditation Council for Continuing Medical Education (ACCME) through the joint providership of University of Pittsburgh and International Center for Postgraduate Medical Education. The University of Pittsburgh is accredited by the ACCME to provide continuing medical education for physicians. The University of Pittsburgh designates this enduring material for a maximum of 2.0 AMA PRA Category 1 Credit(s)™. Physicians should claim only the credit commensurate with the extent of their participation in the activity. The UEMS-EACCME® has mutual recognition agreements with the American Medical Association (AMA) for live events and e-learning materials. For more information go to http://www.uems.eu/uems-activities/accreditation/eaccme. Most states allow nurses to use AMA PRA Category 1 Credit™ toward their relicensure. Nurses should refer to their state licensing body for specific requirements for nursing license renewal. Time to complete this educational activity is 2.0 hours. The posttest and evaluation are required to receive credit and must be completed online. 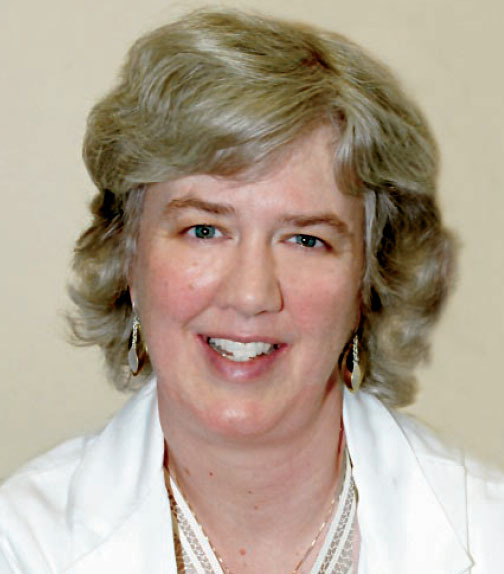 Wendie A. Berg, MD, PhD, FACR, FSBI, and Chief Scientific Advisor for DenseBreast-info.org, is Professor of Radiology at the University of Pittsburgh School of Medicine and Magee-Womens Hospital of UPMC. Dr. Berg specializes in breast imaging and sees patients at Magee-Womens Hospital in Pittsburgh, PA.
Dr. Berg has been the Principal Investigator of many important research studies in breast imaging, most notably with support of the Avon Foundation and the National Cancer Institute, the ACRIN 6666 protocol, which evaluated screening ultrasound and screening MRI in women with dense breasts. Dr. Berg has led important research evaluating positron emission mammography (PEM) and MRI in women with newly diagnosed cancer and is part of an outstanding team of physicians at UPMC who are evaluating tomosynthesis, fast MRI, contrast-enhanced mammography, and molecular imaging approaches to breast imaging. Dr. Berg writes and co-edits one of the leading textbooks of breast imaging, Diagnostic Imaging: Breast (Amirsys; 3rd edition release in mid 2019) and has authored or coauthored more than 100 peer-reviewed research publications on breast imaging. JoAnn Pushkin, Executive Director of DenseBreast-info.org, is a patient/advocate, author, and speaker. She learned of her own breast density's masking effect on her mammogram after finding a palpable lump that went undetected by mammography several years in a row. She is also cofounder of the advocacy group DENSE (Density Education National Survivors’ Effort). Ms. Pushkin's initiative and advocacy served as inspiration for New York State's Breast Density Inform bill, signed into law in July 2012. On the federal level, Ms. Pushkin led the efforts for both the introduction of the Federal Breast Density and Mammography Reporting Act, as well as the FDA’s Mammography Quality Standards Act regulatory amendment consideration. Cindy Henke-Sarmento, RT(R)(M), BA, Technology Director of DenseBreast-info.org, is an entrepreneur, author, and co-owner of QSUM Biopsy Disposables, LLC. She has 29 years of experience in the mammography field, 22 years of specialized experience in breast care, and holds five patents. Ms. Henke-Sarmento led the initiative for the 2014 introduction of Colorado’s breast density reporting bill. University of Pittsburgh requires instructors, planners, managers and other individuals who are in a position to control the content of this activity to disclose any real or apparent conflict of interest (COI) they may have as related to the content of this activity. All identified COI are thoroughly vetted and resolved according to University of Pittsburgh policy. University of Pittsburgh is committed to providing its learners with high-quality CME activities and related materials that promote improvements or quality in healthcare and not a specific proprietary business interest of a commercial interest. Wendie A. Berg, MD, PhD, FACR, FSBI, is Chief Scientific Advisor for DenseBreast-info.org and on the faculty in the Department of Radiology at the University of Pittsburgh, Magee-Womens Hospital. Cindy Henke-Sarmento is co-owner of QSUM Biopsy Disposables, LLC. JoAnn Pushkin has no disclosures to report. This educational activity may contain discussion of published and/or investigational references referring to technologies that are not yet approved by the FDA. The planners of this activity do not recommend the use of any product or device outside of the labeled indications. This activity is for informational purposes only and is not intended to be a substitute for medical advice from a physician or to create a standard of care for health care providers. University of Pittsburgh, International Center for Postgraduate Medical Education, and DenseBreast-info.org.